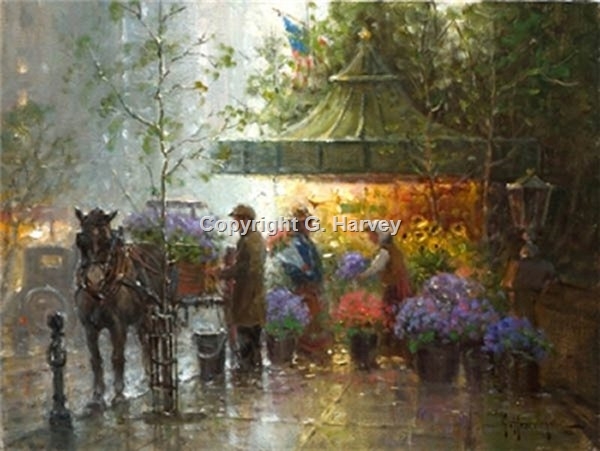 Springtime in Central Park by G. Harvey ~ New York City is one of G. Harvey's favorite places to gather both reference material and enthusiasm. And his favorite area in the city is in and around Central Park. "It's colorful, abounding with energy and I find it very inspiring. Of course, there's no better time to be there than in the spring, as the trees are budding and everyone's mood is pleasant."